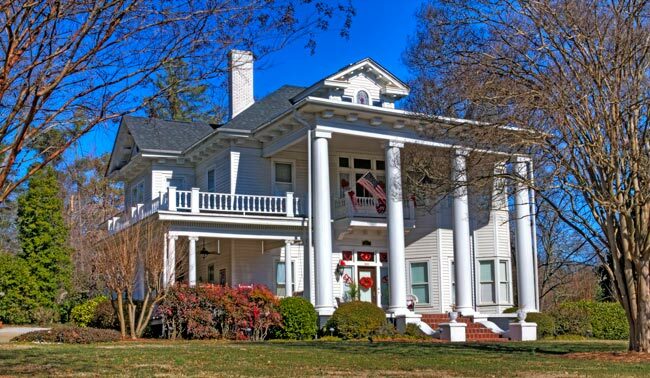 This Easley edifice was built sometime in the late 1800s as a simple, one-story house. By the early twentieth century, owner Dr. J.C. Walker had turned it into an impressive Greek Revival manse, surrounded by bucolic scenery featuring ponies and grazing cows. 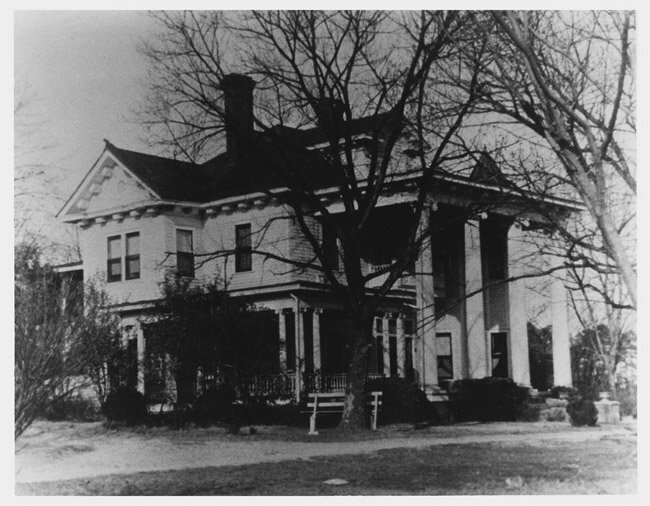 A 1913 photo owned by the Pickens County Library shows the home soon after it had been enlarged, looking much as it does today, though some cosmetic changes over the years can be seen. The home remains privately-owned and is at times used as a wedding and event venue. Do you know a story or have any information about the Dr. J.C. Walker Home? If so, please send it to the South Carolina Picture Project. Thank you! The people in the photo are left to right: Holland Walker (on horse), Katie Walker (on porch), Dr JC Walker, Obera Walker, William Walker (In wagon) and Christine Walker. Oh wow! That would have been so cool to see. Thanks so much for letting us know that interesting tidbit! That is my Great Grandfather’s house. One interesting story is that in the late 1910s or early 1920s Dr. Walker built a roller coaster (which he called it a ‘shupe d shupe’) on the side of the house. The rails were made by a barrel maker and according to my grandfather, no one was ever hurt on it. However no one ever bothered to take a picture of it. Growing up in Easley I often wondered what it would be like to live in this house.